Back in July 2018, San Diego-based chipmaker Qualcomm announced a pair of 5G-capable antenna modules destined to make their way into next year’s smartphones. Just three months later — at the company’s 4G/5G Summit currently underway in Hong Kong, China — Qualcomm has announced that it’s been able to further improve upon one of the modules previously announced this year. 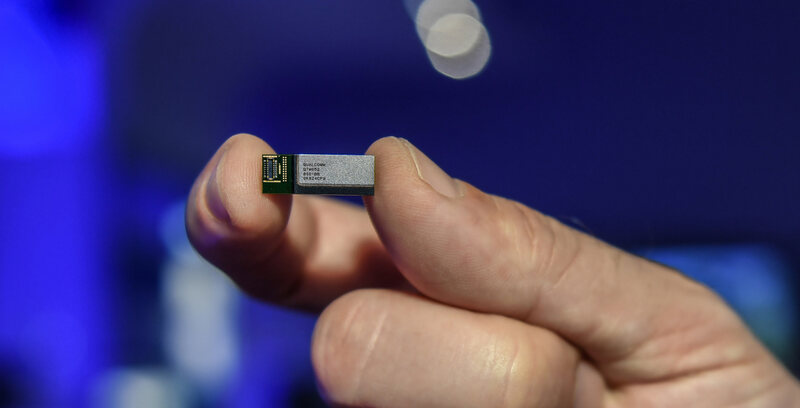 The latest version of the company’s QTM052 antenna module, which works with mmWave frequencies, is 25 percent smaller than its predecessor. “At Qualcomm Technologies, we’re constantly looking for ways to innovate and revolutionize the mobile experience, and we’ve done that with the QTM052 mmWave antenna modules, which build on a major milestone that we introduced in July 2018 — the announcement of the first commercial 5G NR mmWave and sub-6 GHz RF modules for smartphones and other mobile devices,” said Cristiano Amon, president of Qualcomm, in an October 22nd, 22018 press release. The Qualcomm’s latest QTM052 module’s smaller footprint will make it easier for smartphone manufacturers to integrate the component into their upcoming devices. Like its larger sibling, the QTM052 integrates the latest advances in beamforming, beam steering and beam technologies. According to Qualcomm, the smaller QTM052 antenna module will start making its way into commercially available handsets that ship next year.